The annual gathering of the Poplar and Willow Council of Canada (PWCC) for 2015 took place in the Abitibi-Témiscamingue region of north-west Quebec in mid-September. A small but enthusiastic group of 17 participants enjoyed three days of presentations, discussion and field visits in the boreal forest. The program included 10 presentations on the themes of 'Poplar and willow management in natural settings' and 'Site reclamation with poplar and willow'. That was followed by two days of field visits in the boreal forest, featuring hybrid poplar plantations, and reclamation of gold mining wastes with poplars and willows. L'Université du Québec en Abitibi-Témiscamingue (UQAT) hosted the event, which was ably organized by Annie DesRochers and her colleagues. 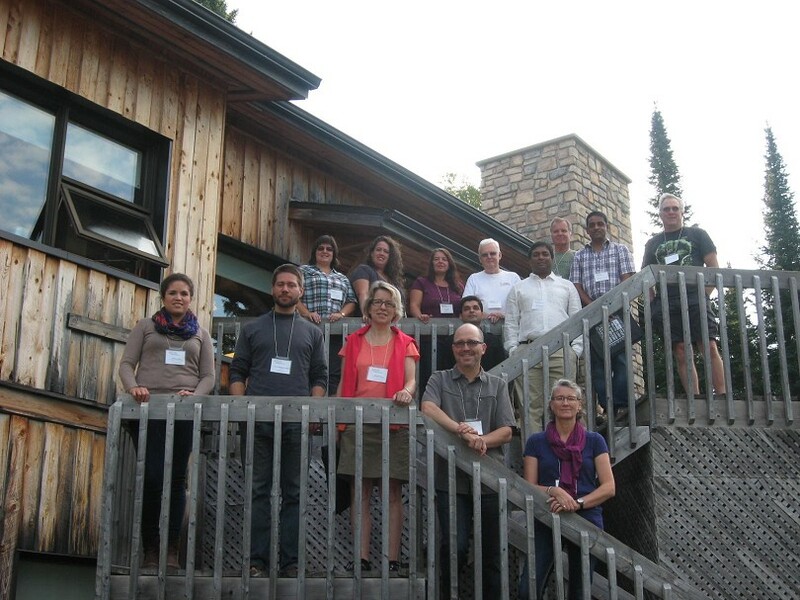 The venue was the Lac-Duparquet Research and Teaching Forest research station of the Université du Québec en Abitibi-Témiscamingue (UQAT), located in a beautiful natural boreal forest setting on the shore of Lac Hébécourt, about 60 km northwest of Rouyn-Noranda. Among the participants were the two winners for 2015 of the PWCC/University of British Columbia student travel awards, who presented papers during the technical session: Estefania Milla-Moreno from the University of British Columbia, and Shayeb Shahariar from the University of Saskatchewan. During the annual business meeting of PWCC, Marc Poirier, general manager of Bionera Resources Inc., was elected to the Board of Directors and accepted the position of chair of the Environmental Services and Bioenergy Working Group. A decision was also made to hold the 2016 annual gathering in Regina and Indian Head, Saskatchewan in late July. The complete program with abstracts and presentations is available on the UQAT website. A photo gallery and a more extended illustrated article about the event have been created.